Mr. Yashodaren Umanee is a banker with over 30 years of experience. He worked for the Barclays Bank PLC as International Banking Division Director and has also been the Corporate Director in Barclays Seychelles for the last 9 months prior to joining ABC Banking Corporation Ltd. In July 2011, Mr. Umanee joined ABC Banking Corporation Ltd as the Head of Banking – Domestic & International and was promoted to the post of General Manager in January 2012. He holds an MBA from Heriot Watt University. He is also an associate of the Chartered Institute of Bankers (ACIB). Mr. Kushal Bajnathsingh brings over 15 years of experience in the Global Business and International Banking field to his role of Head of International Banking. Prior to joining ABC Banking Corporation Ltd in August 2011, he was Relationship Manager at AfrAsia Bank in the Global Business department. 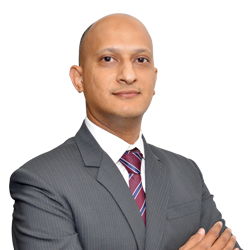 He also worked for more than 6 years at Barclays Bank Mauritius as Manager and Head of Department in the International Banking Division. He was assigned several overseas duties in Barclays Bank Ghana, Barclays Bank Seychelles and Banque de Kigali in Rwanda. In 2008, he was awarded the title of Change Champion for overall of Barclays Bank in Mauritius. Mr. Bajnathsingh is a holder of a post-graduation in Business Administration from Wales University in UK. 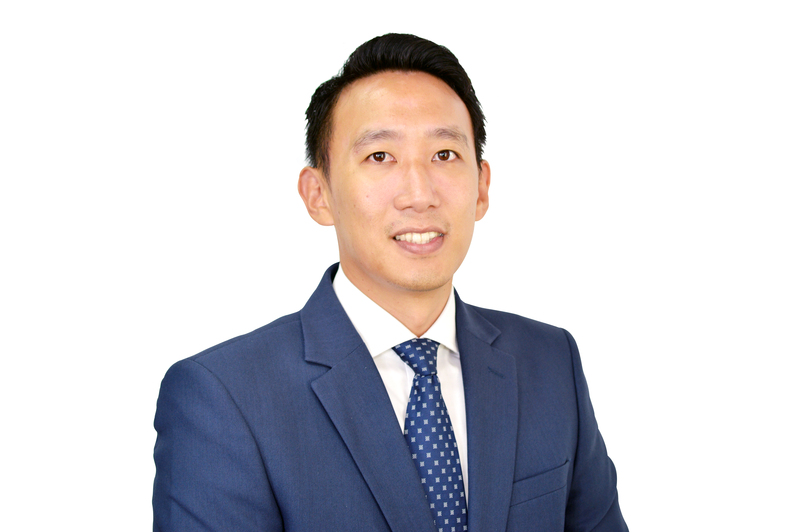 Mr. Andy Leong Son has over 10 years of valuable experience in the accountancy and financial sectors both in Mauritius and in the UK. Prior to joining ABC Banking Corporation as Head of Finance, he was the Head of the Advisory division of Perigeum Capital, a Corporate Finance House. He previously worked at KPMG and at the British Business Bank Investments Ltd, a national economic bank based in London. Mr. Andy Leong Son is a member of the Institute of Chartered Accountants in England and Wales and he also holds a BSc in Computer and Business from the University of Warwick. Mr Abdool Wahab Khadaroo has more than 20 years of experience in the financial services industry. Before joining ABC Banking Corporation in October 2016 as Head of Credit Underwriting & Risk, he worked for 13 years in different departments (Corporate Credit Risk, Offshore Banking, Internal Audit) across Barclays Bank Mauritius Ltd and acquired international exposure with ABSA Bank South Africa, within the Corporate & Investment Banking space, where he was seconded for duty in 2016. He won the Gold Medal awarded in 2016 for “ Net Interest Income performance across Southern Africa countries”. Mr. Khadaroo also had 6 years exposure in external audit with Deloitte & PwC. He is a Fellow Member of Chartered Accountant (FCCA). 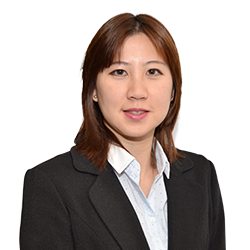 Mrs Laura Li Shen Pin has more than 10 years of experience in the banking sector. She previously held the post of Accountant at the MCB Group for 7 years where she acquired significant experience in the finance department. Mrs Li Shen Pin joined ABC Banking Corporation Ltd in July 2011 as Accountant and was appointed as Senior Recovery Manager in February 2014. She was promoted to Head of Debt Administration & Recovery in June 2016. Mrs Li Shen Pin is a Fellow Member of the Association of Chartered Certified Accountants (ACCA). Mrs Christine Ng has more than 15 years of experience acquired on the local & international market. Mrs Ng joined ABC Banking Corporation Ltd in April 2012 initially as Consultant and was thereafter appointed as Head of Internal Audit in June 2012. She gained extensive experience in audit and consulting whilst working with Ernst & Young Ltd (Mauritius) for eleven years. She was the Team Leader on local audit assignments and also had the opportunity to work in a number of African countries, as part of short-term European Union institutional assessments and financial audits. During her tenure with EY, she was also seconded to the EY Johannesburg office for 6 months in 2016/2017. She holds a BSc. (Hons.) in Management Sciences from the University of Warwick (UK) & a MSc. in Human Resource Studies from the University of Mauritius. She is a Certified Internal Auditor (CIA) from the Institute of Internal Auditors (USA). and a member of the Institute of Internal Auditors in Mauritius. 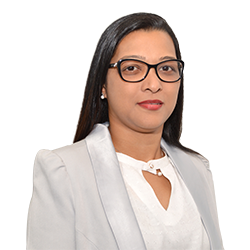 Since 2016, she also forms part of the Audit Committee Forum (ACF), a forum which was set up by KPMG and the Mauritius Institute of Directors, and which provides guidance notes on a number of topics to Audit Committees through the issue of its Position Papers. Mr Abdullah Nurmahomed has 8 years of experience in Treasury sales. 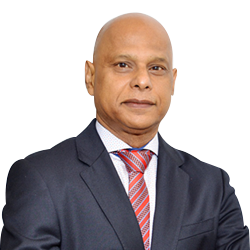 Prior to joining ABC Banking Corporation Ltd, he worked for 4 years as Money Market, Fixed Income, and Interbank & Forex Dealer at the State Bank of Mauritius and was posted as Treasurer in 2012 and 2013 at SBM Madagascar Branch. He also worked for 4 years as Trader (Shift/ Team Leader) at Superfund Asset Management Mauritius and for 2 years at HSBC Mauritius as Credit Support Staff. Mr. Nurmahomed joined ABC Banking Corporation Ltd in March 2014 as Head of Treasury. He holds a BSc. First Class Honours in Finance from the University of Mauritius and an ACI Dealing Certificate of the Financial Markets Association. He is currently studying for CFA Level 3 and ICSA Level 2. 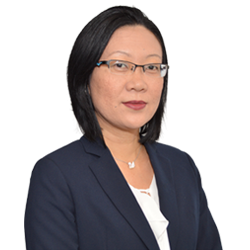 Mrs Natasha Jade Wong Chung Ki has over 10 years of experience in the financial services sector. Mrs Wong Chung Ki joined ABC Banking Corporation Ltd in 2015. She was previously an Executive Director for over 10 years at the Mauritian Eagle Leasing (a member of the IBL Group). She also held office at DTOS Ltd Management Company and Deloitte. She is a Chartered Accountant, holder of an ACCA and also holds an MBA in Finance from the University of Leicester, UK. She is also a member of MIPA and MIOD. Mr. Veeramdeve Nem has 34 years of experience in the Financial Services Sector. 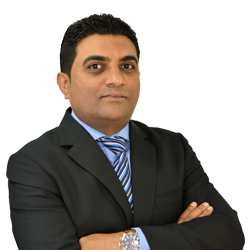 Prior to joining ABC Banking Corporation Ltd in August 2017, Mr. Veeramdeve Nem held several positions in the banking sector in Mauritius and abroad. 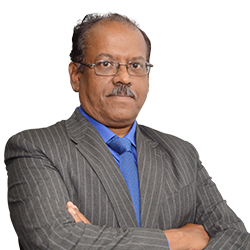 He started his career at the Bank of Mauritius in 1983 where he occupied several positions before retiring as Senior Bank Examiner in 2007. Mr Veeramdeve Nem was employed as Head of Compliance & MLRO at AfrAsia Bank from 2007 to 2009, a position which he held afterwards at Banque des Mascareignes from 2009 to 2011 and at Capital Horizons Ltd from 2013 to 2015. 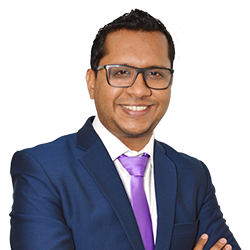 Mr Veeramdeve is a member of the Association of Certified Fraud Examiners and he holds an MSc Finance from the University of Mauritius and he is also a Fellow member of the Association of Chartered and Certified Accountant (FCCA).